Right from the outset, Dutch Mill Inn Hotels are quite a sight, a perfect place to pitch a tent after a long day of doing business or sightseeing. This Hospitality Portal has a lot of articles covering great hospitality concepts and innovation in the hospitality industry. There are posts covering some of the most unique places on the planet. This post is a tribute to one such innovative and unique Hotel concept. The concept of Dutch Mills in the hotels. There are several Dutch Mill Inn hotels around the world. So, is this a Hotel chain? It’s not actually but is still an interesting concept. These themed hotels normally have Dutch styled windmills or a thematic representation of Wind Mill in-house. The concept, although not owned by a chain, has been embraced by a lot of individual hospitality organisations all across the globe. These are small to large properties around the globe which are normally unrelated. The Dutch mill concept has been used by hotels, restaurants, markets, Cafes and so on. The message is clear. Promote ecotourism, art and architecture. The concept of Dutch Mills has gained worldwide recognition. The Mill Inn Hotel in Washington even provides its customers with an experience to stay in The Dutch Wind Mill. In this post, we have discussed two of the notable Dutch Mill Inn Hotels which have strikingly similar names with no similarity whatsoever. One is The Dutch Mill Hotel in Aberdeen, Scotland while the other is the newly refurbished The Mill Inn Hotel in Washington, USA. There are restaurants as well which are Dutch Mill Themed. 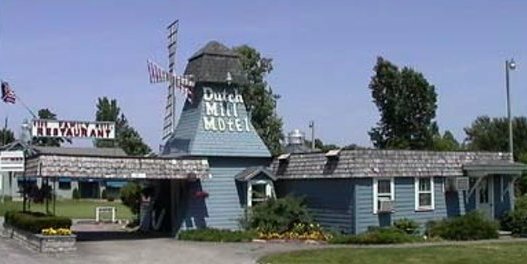 Moving on to two peculiar yet contrasting Dutch Mill Inn Hotels. This 4-star hotel isn’t short of top-notch amenities. 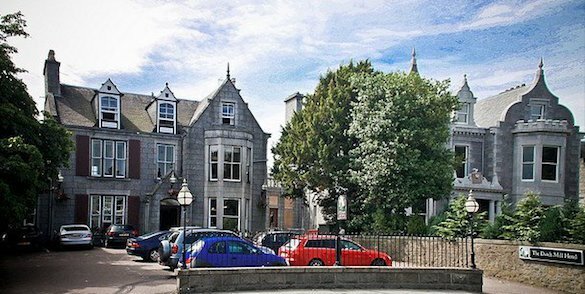 With large cosy rooms, elaborately decorated interiors, exquisite services, and affordable rates, The Dutch Mill Hotel Aberdeen is a must-stay destination to kick back and relax away from all the hustle and bustle of work and life. When it comes to hospitality and food, Dutch Mill Inn has certainly nailed it. There’s no question the Dutch Mill Hotel brought their A-game when it comes to their hotel rooms. They are spacious, sassy, and feature a raft of amenities. Each room has a large bathroom that is tastefully decorated and always impeccably clean. These rooms come in singles, doubles or twins. They are all en-suite so that you can expect utmost comfort and cosy ambience. Each room has large beds donned with huggable and breathable linen. You will certainly enjoy your night sleep or watch one of their large TVs from the comfort of these beds. Dutch Mill Inn hotel room rates are unbelievably affordable. While their rooms will set you back about 80 GBP, you are in for a surprise if you check in over the weekend. That’s right – it’s much cheaper to stay at the Dutch Mill Inn hotel on Saturday or Sunday. As if that isn’t fabulous enough, the hotel is also a member of myriad reward programs that can help you save even more quid. Dutch Mill Hotel Aberdeen is synonymous with sizzling Scottish delicacies. The hotel boasts a vibrant bar and restaurant that serves mouthwatering delicacies you won’t get anywhere in Aberdeen. The setup oozes off that classy yet cosy ambience that makes eating your lunch or dinner luxurious. There’s more. All the rooms also boast iron, ironing board, and coffee or tea making apparatus. With all these facilities – and possibly more – in a room in Dutch Mill hotel, you are in for a special treat. Forget about 1 or 2-bar Wi-Fi found in other Aberdeen hotels, Dutch Mill Inn takes the connectivity game to a whole new high. Here, you will have exclusive access to full bar Wi-Fi, so you can check your work emails or see your Facebook activity on the go. On the whole, Dutch Mill hotel in Aberdeen is the perfect home away from home. If the themed Dutch Mills were not enough, here is a chance to stay in one of these Dutch Mills or to have a tour of these. A Lynden landmark hotel with a 72-foot Dutch windmill in the Hotel premises will reopen, but under a new name and fully refurbished rooms. The former Dutch Village hotel is now called The Mill Inn and owned by Brian Davidson and Tim Broersma. The Mill Inn Hotel has opened in September 2016 after refurbishment. Broersma said there is just seven rooms, with three of them physically in the Dutch windmill, but wants to ensure guests get a custom experience that will create long-lasting memories. He said there are a number of windmill hotels around the world, but the Mill Inn is the only North American windmill with rooms within the windmill. Broersma said guests can actually stay in the windmill. General Manager Chelsea Davidson said all rooms at The Mill Inn are unique and have certain design characteristics that are seen with Old World European settings but with the comforts of today, guests want. At the top of the windmill, rooms are a bit smaller but unique. There are several standard sizes hotel rooms and a bigger one-bedroom loft suite that comes with a complete kitchen. All rooms are outfitted with the best mattresses and bedding, a flat screen TV and the usual hotel amenities. The Dutch Village Mall hotel, which was founded in 1987, shut down after Neufeldt Properties sold it in November 2013. Since that time, it’s undergone numerous renovations. The Mill Inn will also include a hotel gift shop, hotel lobby and bistro. Room service is an option for guests to use. According to Broersma, space is small but guests can shop, eat and stay there. The Dutch Mills are getting popular in the hospitality fraternity. While a lot of these Windmill themed hotels have existed for decades, most of these are being refurbished and rebranded in recent years. These are similar to Boutique Hospitality or an extension of Boutique Hospitality. Who knows one of the largest hotel chains embrace the concept soon to start a new form of tourism. ‘The Dutch Mill’ Tourism. If this comes to be true, the visitors would be set for another treat with Dutch Mill concept hotels at multiple localities.